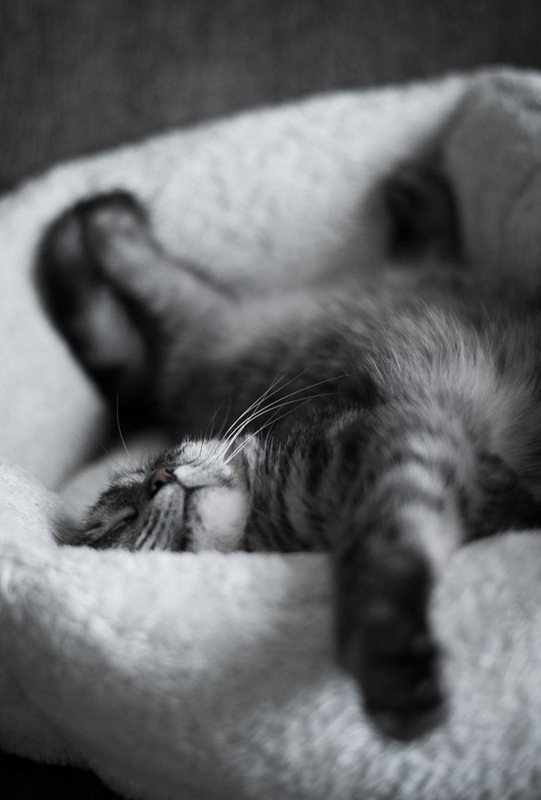 Ho la la… Nice «lazy» cat and nice black & white! 😀 That’s funny. Thank you! Priceless! A great capture of one of the most professional ‘relaxers’ in the animal kingdom! A professional relaxer, I like that title, sounds so right. 🙂 Thank you Aldous! In short, What he has best in man, the dog. Beautiful photo Elina. I’m so glad to hear it brought a smile to your face. 🙂 There is some truth in it. Our kitty indeed is the cuddly soft kind… 🙂 Thank you for a lovely comment Suzy! LOL that is a great series of photos of men and cats. 😀 Really liked it! Have a lovely weekend too Melanie! Hope to see you again. superb capture…cats (and women) also find the comfiest places to sleep..
That’s a great quote:) This photograph is stunning, Elina!